Well, it’s finally happening. After holding out for months/years in the face of constant demand from gamers and developers alike, Sony is finally folding and allowing crossplay with the Xbox One and Nintendo Switch. Unsurprisingly, the first game supported with be Fortnite, with Sony and Epic Games kicking off an open beta that will allow crossplay between PlayStation 4, Xbox One, Nintendo Switch, PC, Mac, and mobile platforms. While Sony is only allowing crossplay in Fortnite for now, other “select third-party content” will be supported in the future. “For 24 years, we have strived to deliver the best gaming experience to our fans by providing a uniquely PlayStation perspective. Today, the communities around some games have evolved to the point where cross-platform experiences add significant value to players. In recognition of this, we have completed a thorough analysis of the business mechanics required to ensure that the PlayStation experience for our users remains intact today, and in the future, as we look to open up the platform. 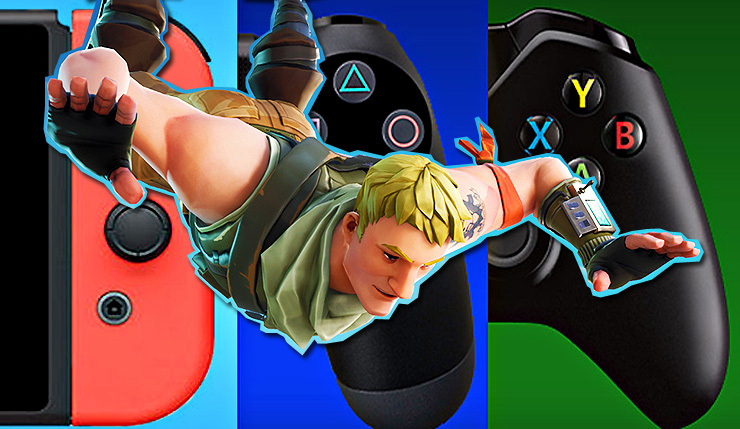 Here’s hoping Sony fully embraces crossplay once they get done testing the concept with Fortnite – once you let the genie out of the bottle, there’s no stuffing it back in! Only allowing “select titles” to have crossplay will only cause more strife. Just flip the switch and walk away, Sony! Assuming Sony doesn’t just flip the universal crossplay switch, which games absolutely need to be supported? Rocket League, Overwatch, Minecraft, GTA Online, Call of Duty, Battlefield, Destiny, Monster Hunter: World, and EA Sports titles all seem like obvious first-round choices to me.